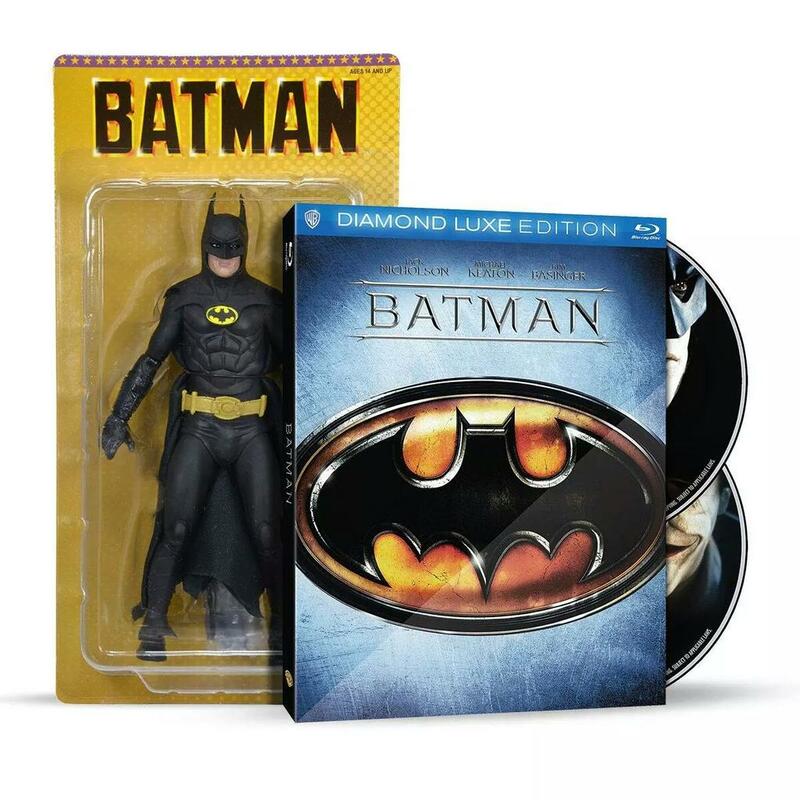 Warner Bros Home Entertainment currently has a pre-order listing on their official Ebay store for the new Batman 25th Anniversary Blu-Ray release which includes the NECA figure in all of his glory! And check out that packaging! A throwback to the old gold cards from Toy Biz. I’m in love! And all of this will only run you $29.99, which is a great deal for the Blu-Ray and the figure. It looks like this Ebay listing is currently the only way the item is available, but NECA did post on their Twitter account today that other options should become available. Great deal for an awesome figure! Jump on it before you miss it! Update: It appears the Ebay listing has been removed for unkown reasons. Everyone who purchased the item has been sent a notification from Ebay letting them no the item is no longer available. No word yet on if those who paid will actually receive their item or be refunded. The e-mail says specifically “Since you’ve already paid for the item, you don’t need to do anything else. If your item hasn’t arrived yet, it should arrive soon.” I’ll keep you updated once I learn more. Congratulations, ‪#‎Batman‬ fans – you broke eBay. The error has been corrected by eBay, the Blu-ray+Figure promo is back up, and all is well. If you already bought the promo and got a mysterious “item no longer available” email from eBay, just ignore it. You’ll still get your figure. DO NOT REORDER… Unless you want 2! And if you didn’t already buy it, what are you waiting for? !